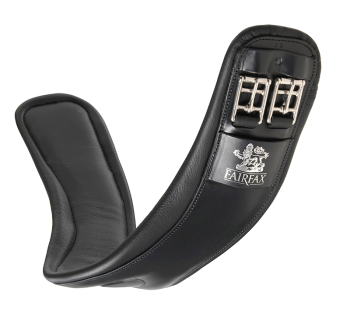 The Fairfax Performance Dressage girth has been designed, tested and scientifically proven using pressure mapping and gait analysis. 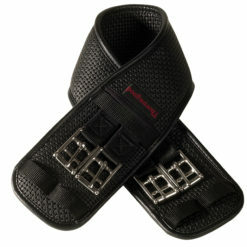 The girth is handmade in Walsall, England, and constructed from luxuriously soft and supple English leather. 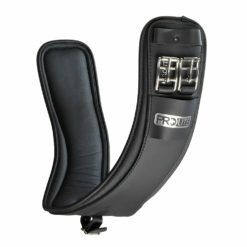 The contoured shape avoids pinching or pressure on the sensitive area behind the elbow. 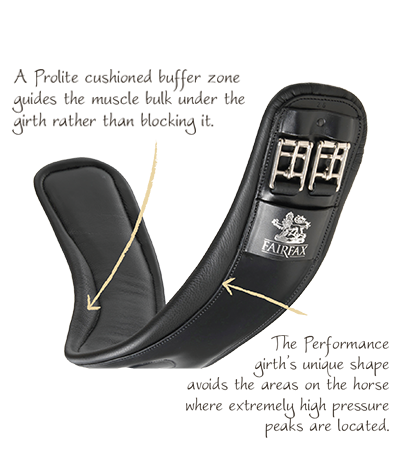 This girth is lined with Prolite, a material known for its ability to distribute pressure, absorb impact, and prevent rubbing. 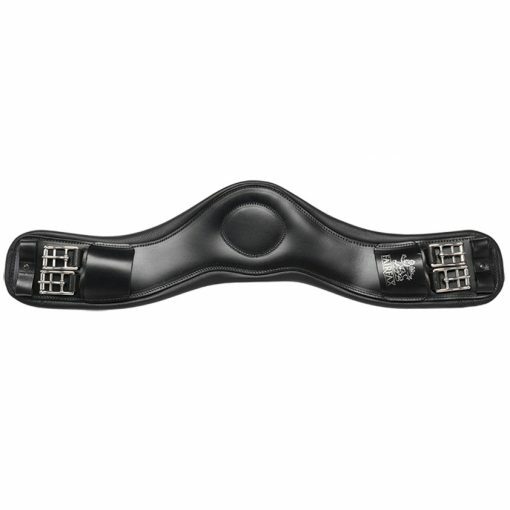 The Prolite edge “floats” so the horse’s muscles can move beneath rather than bang against the edge of the girth. 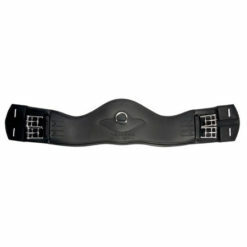 The combination of the anatomic contoured shape and Prolite edge creates a buffer zone rather than a hard edge. 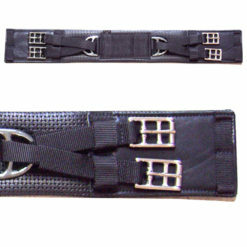 Note about ordering: We order each high-quality Fairfax Performance Dressage girth individually. Please allow extra time for shipping. 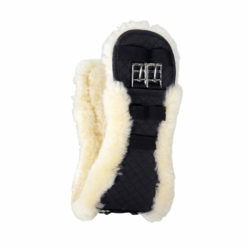 Care: Avoid all glycerin and oil-based leather cleaners and feeders. Use warm water to sponge away sweat and dirt after every use. Dry with a clean, soft towel or sponge. When dry, use Rapide Leather Gel to all surfaces and rub with a clean cloth. We’re proud to include Fairfax as one of our Trusted Brands! 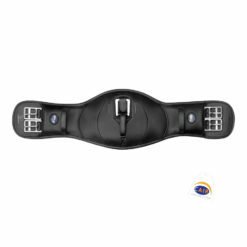 For more information about Fairfax design & features, please visit our brand page.